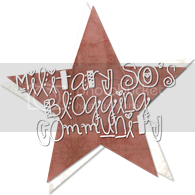 November is Military Family month so I thought I would talk about military life. We’ve lived in Okinawa for 3 years and 2 months. So it’s been awhile, well in military life it’s awhile. When Morg first got orders here I cried my eyes out. I didn’t want to go overseas. We were stationed in Bremerton, Washington at the time and I still felt like it was far from family, now having to be across the globe…. that was terrifying. My dad is a retired Navy officer, but we never moved around. Well, at least when I could remember. Early in his career he was stationed on the east coast, Guam, and Japan. I was non- existent or too young. After he got stationed in San Diego he hasn’t moved since. As for Morgan, his family was a whole different story. They moved around a lot. His father too is a retired Navy Officer. They were also stationed overseas in Japan and Puerto Rico. He grew up moving around and he’s had experiences living abroad so I don’t think it was that big of a blow for him. Everywhere we have moved, I’ve hated it!!! I compare everywhere to San Diego. I missed my city that I loved so much. 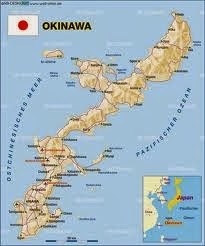 Okinawa was no different. I think I hated it more since it was a foreign country; the time difference from home, the distance from home, and it was just so unfamiliar. After some time, probably a year or so…. I ended up loving it. Even now I talk it up to my fellow military spouses. There are definitely lots of pros and cons about being overseas. Being away from everything you know is a very exciting and scary thought. 1) The experience about living in a foreign country, learning about its people, culture, traditions and foods. The people here are the nicest people I’ve ever met. It’s just so crazy how nice they are. Maybe I’m jaded by growing up in the states, but if all people were as nice as they are here it would be a better world. 2) It is so safe here! I never hear about crimes happening. No murders, no burglaries, no kidnappings. People here leave their doors unlocked and their kids can play outside safely, even at night. One time I left my yen wallet (I keep 1 for yen and one for dollars) at a restaurant. There was probably 5000 yen (roughly $50) left in there. I didn’t notice until the next morning and I called the restaurant as soon as I found out and they had it waiting for me. ALL the monies were still there. If that were the states, I doubt I would get ALL my money back. 3) Being overseas has a whole different vibe. The military community really comes together. Here we’ve made friends that have become family. People that we love and love us. It’s great being able to connect with people who are going through the exact same things as you. 4) Travel. We love ASIA! Being here we’ve been able to take some great vacations. I mean we live on a tropical island! So we don’t have to go far for beautiful beaches. Now that we’re staying longer we plan on taking more trips around Asia. 1) It costs an arm and a leg to get back to the states!! Now we are lucky because our families live on the west coast. People who are from Hawaii are even luckier. But generally its 2 flights to get back to CA. Average cost per person is $1200, now multiply that by 4 and that’s $4800.00. We are a one income family, so to just shell out $4800.00 takes some planning and saving. When we go back to visit, we usually take about a month there because it costs so much to get there and the travel time is about 14hours. Most recently we went back to the states on short notice and the tickets for all four of us was almost $9000.00. Then the money we used just being on vacation there. It was a costly vacation for sure. 2) Being away from family. I’m sad that my kids don’t get to grow up by their grandparents, aunts, uncles, or cousins. Lots of my family was located in southern CA so we got to see them often growing up. My grandparents used to watch us while my parents were at work. We don’t get that here. I wish I could just drop the kids off at my parents’ house and have a date night. I wish I could invite my kids’ cousins to their B-day parties. I wish we could have a huge Christmas with our families. I wish our families didn’t have to watch our kids grow up via Facetime, Facebook, and Skype. Luckily we’ve been able to make the trip back to the states yearly, but I know lots of families that aren’t able to. 3) Island fever. Being here can get old. I mean the island is about 463.72 sq miles. It’s small. Everyone knows everyone. I miss the stores in the states; like Target, Walmart, Costco, and etc. Mainly we have the Exchange and the Commissary. I go to both weekly. The deals aren’t that great, the brands that they carry aren’t that great, and they run out of stuff constantly. 4) Being lonely. During Morgan’s first tour here he was gone a lot. He would get deployed here and there for weeks, sometimes months. Being a stay at home mom isn’t always fun and easy. The days are much longer then the nights. Most of my friends work or have older kids, so a lot of the times it’s just me and the kids. 5) Driving. Here they drive on the opposite side. That isn’t really the problem. There are just so many things going on when driving here. The opposite side, motorcycles, scooters, bikes, pedestrians, really really narrow roads, and slow drivers. This island is really small, so you would think that it doesn’t take long to get anywhere. WRONG! It takes super long. The speed limits here are very slow. I think on the freeway the max speed is 49 mph!! That is the freeway! So you could imagine the regular streets. For instance, Amelia’s school is probably 5 miles way, it takes me 20 minutes to get her there! Maybe its because I’m from CA and we drive crazy fast there. I don’t know, I know I’m not the only one who isn’t a fan of the driving conditions here.